I just got this email from UTS, and am publishing the text-based version for posterity. We are pleased to confirm that you have successfully registered to collect your graduation documents in-person. Your graduation documents will be available from the Building 10 Student Centre, Level 2, 235 Jones Street, Ultimo, from Monday 10 October 2016. Please be advised that your graduation documents will be held at the Building 10 Student Centre for a period of 12 months from 10 October 2016. If uncollected after 12 months, graduation documents will be destroyed (see testamurs, academic records and AHEGS), and you will be charged a fee for reproduction. Should you have any further queries or require assistance contact your Student Centre online via Ask UTSor phone 1300 275 887/+61 2 9514 1222. I’m not going to the graduation ceremony. Partly because I don’t need the pomp and circumstance, but also I’ll be overseas on leave, and spent the money I would have put towards aforementioned pomp and circumstance on a graduation reward camera : ). 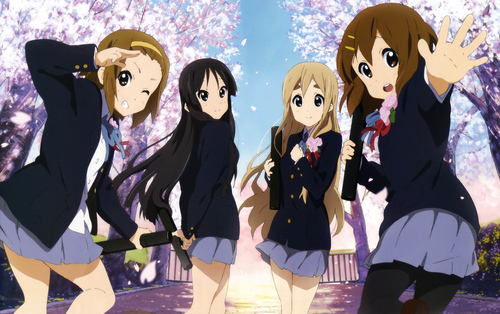 K-On!! key visual by Kyoto Animation, used here to review the fact I unashamedly loved the original, and that they're graduating like me!